The beauty of this country has forever given a constitutional right to individuals the freedom of speech to say what they want…..what Colin Kaepernick did by not standing for the National Anthem was his constitutional right….He didn’t even break any league rules….I have been to several sporting events and seen fans sitting during the National Anthem……that’s their choice than so be it…I refuse to tell people how they should live their life…I am a firm believer in ideology and individuality….it’s what makes this country so great….some people have died fighting for the American flag…others have tried to burn it……Some people tear up at the sound of the National Anthem as they remember lost loved ones…others covers their ears…. 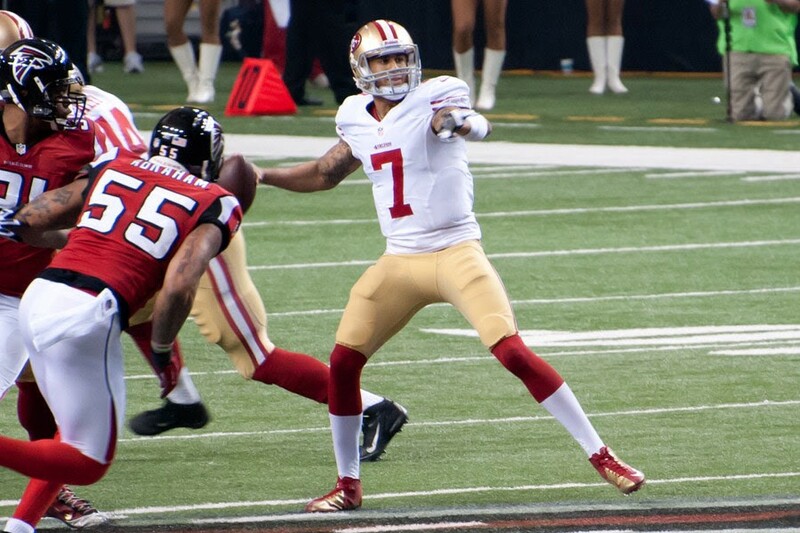 Colin Kaepernick exploded onto the scene 4 years back with an exceptional arm and blazing speed….He took the NFL by storm and drove Defensive coordinators crazy…..He was the next upcoming QB in the NFL and took the San Francisco 49ers to the super bowl……fast forward to present day and nobody is even talking about Kaep’s talents or football skills…..the focus is on his political stance by not standing during this country’s National Anthem….It took a lot of courage to do what he did and I commend him for that….I give anybody a lot of props for standing up for what they believe in as long as it is within the law….He took on some strong topics justifying what he did in interviews and he made some great points….Yes there are minorities that have been mistreated by cops for decades and vets whom have been forgotten about for what they did for this country…Some of these police videos of cops shooting unarmed minority men/women is sickening…There are bad cops who exercise their power the second they put on their badge…..what kaep did by not standing took a lot of balls and I really don’t believe he had any idea that what he did would cause this much of an uproar…Every radio talk show and national/local tv show was talking about it….You got an extreme wave of response to those that supported him, to others who were burning their Kaepernick jerseys…. 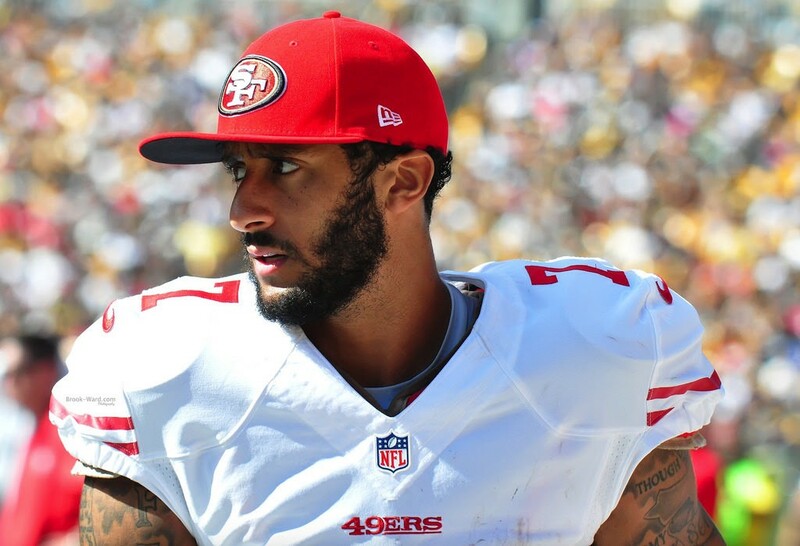 In my opinion is that what Kaep did was wrong and here is why……The reason this is such a story is because Kaep is/was a high profile QB on a storied franchise in the most popular sport in America….Colin Kaepernick is an employee of the 49ers….He is employed by a franchise that has made him what he is and richer than he could ever imagine….Kaep is a teammate of 52 other men whom of which come from several different backgrounds, are of different races, and have different political preferences…disrespecting the Anthem might be supported by some within the locker room while rejected by others….it’s a slippery slope…but in my opinion the topics that were addressed should be kept within oneself while in the workplace…. Kaep’s teammates are there to win football games and provide for their families just like he is….Football is the ultimate team sport where guys put their bodies in jeopardy for one another…the average career of an NFL football player is 4 years so you can’t blame those guys to do all they can as long as they can….In interviews with the press those players should be focused and talk solely about football and how they can get better….instead players and coaches are answering to sensitive political inquiries and not football….that’s not fair to be put in that position and can cause enormous distractions….in that sense I think Kaep was selfish.. Originally published at SHADOWBOX MVMNT: A SOCIAL MAGAZINE.